November began with a long trip to Fermanagh to see Linfield take on Ballinamallard. 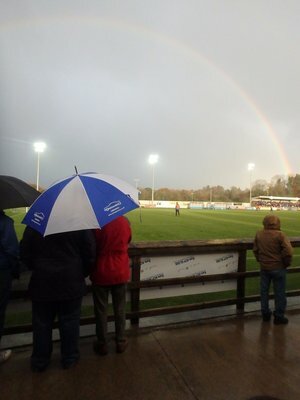 It was raining goals and raining rain as Linfield won 6-0. From going West, it was going East that was next on my agenda, as Northern Ireland took on Switzerland with the aim of going to Russia. They lost 1-0. The following day, it was a trip to Ballymena, to see Linfield lose 2-1. The following Friday, the entertainment was of a musical variety, as The Killers came to The Odyssey. The photos continued on a musical theme, getting photos of a Run DMC mural in Belfast, as well as some Street Art beside Apache. It was back to football, seeing Linfield beat Coleraine and Glenavon. The last day of the month saw me cycle to Lisburn to get some Street art photos, including a mural of Top Cat. My first photo adventure of July was to Windsor Park, for a bit of pre-season action, as Linfield took on Hearts in a friendly. The following day, I ventured to Red Barn Gallery to get photos of some Street Art which appeared on it’s exterior. 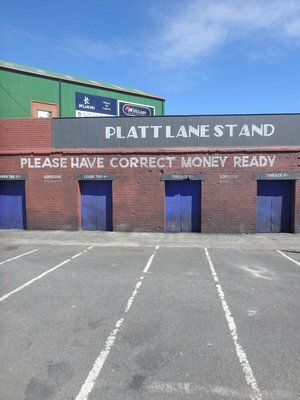 A few days later, it was back to Windsor Park for a Friday teatime kick-off between Linfield and Celtic. The month for me ended with a trip to Dublin, where I got some Street Art photos from in and around the City Centre. March 2017 began for me with a trip to Seaview to see Linfield beat Crusaders in an Irish Cup tie. That was followed a few days later by my first concert of 2017, seeing Blossoms at The Limelight. It was then back to football for a Monday night match between Linfield and Cliftonville, and then returning to Windsor Park the following Saturday to see Linfield take on Ards. I was then out on the trail of Street Art, getting photos of a mural of a Dancer in Belfast City Centre. The following weekend, I headed to Fermanagh to see Linfield get a late win against Ballinamallard. I then headed out again in search of Street art, getting photographs of a new mural of East Belfast legends. The month ended with a trip to Windsor Park to see Northern Ireland take on Norway in a World Cup Qualifier.